"I've been handing out quite a few YAOSGBIR (Yet Another Ocean Scientist Getting Broader Impact Right) recognitions recently. SEAPLEX, Finding Coral, NE Pacific Expedition, the Beagle Project-Tocorime Pilot Project, to name a few. And joining the list was the recent New England Aquarium-Woods Hole-Conservation International 3-week research expedition to the Phoenix Islands Protected Area (PIPA). This expedition, made up of an international team of scientists, divers, and photographers, surveyed what may be the most pristine, intact coral reef ecosystems on Earth. "MBSL&S: I'm fascinated by your interests and exploration of what you call "ecosystem engineers," or species that can significantly alter or manipulate their environments. What ecosystem engineer species are you hoping to study on this expedition? Can you describe some of the experiments (or observations) you plan to conduct? 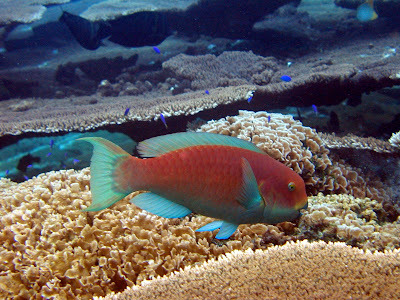 "Dr Randi Rotjan: Ecosystem engineers abound on coral reefs, and include the corals themselves! 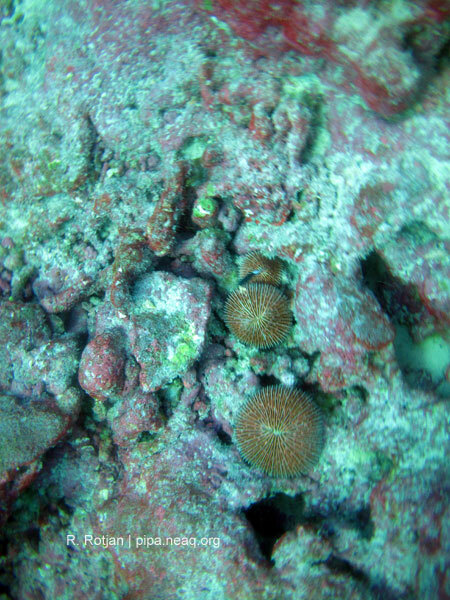 Coral animals build the structure of reefs with their calcium carbonate deposition. In many ways, they are analogous to trees in a forest--both trees and corals create the physical structure on which so many other organisms depend, and thus dramatically alter the landscape with their presence. In temperate forests, beavers are often cited as ecosystem engineers because they cut down trees – thereby again altering the landscape by creating dams, which not only changes the distribution of trees, but also diverts waterways. Similarly, corallivores (organisms that eat live coral) are also ecosystem engineers because, like beavers, they can change the shape of the habitat."